Catherine Nash (nee Murphy) daughter of Mary (nee Collins) and Daniel Murphy came to Australia as a young child with her parents from her birth place county Wexford Ireland. 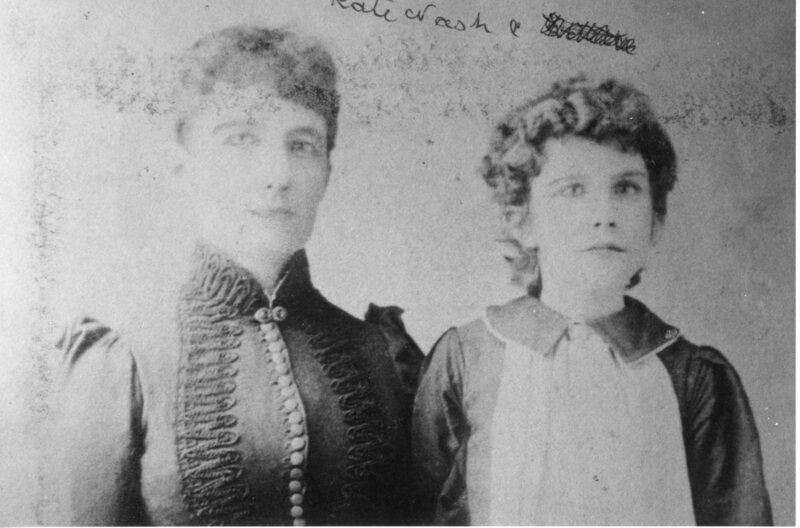 They lived first in Sydney and later moved to Brisbane where her mother had purchased a hotel in Fortitude Valley, following her father’s accident on Moonara Station. Seen through the eyes of Kate Murphy a great depression hung over the colony, as thousands of unemployed navvies and immigrants vowed vengeance against the government. It was at this time that a whisper of the discovery of a rich gold field up “north” filtered through after James Nash sold a bag of gold to a jeweller in Queen Street. As further information filtered through of the richness of the discovery at Gympie, the rush set in. Brisbane streets were deserted and businesses stagnated. Catherine’s recollections of this era paint a very descriptive picture, firstly of Brisbane and other towns within Queensland that were left much under petticoat government. She describes the splendid view of the road via the Valley to Gympie – of all styles of conveyance – drays, spring carts, and horses packed from head to tail with tin dishes, picks and shovels, blankets and billy cans all rattling and noisy, filling the air with their sound as they rumbled along. The men talking and laughing as if going to a race meeting, rather than what privations and difficulties lie ahead, scrubs and creeks to cross and almost inaccessible ranges. The return of a number of city friends sadder and wiser showed they had learned that gold was not so easily found even in a rich field. Business did not immediately improve in Brisbane, in fact, one could fire a cannon ball down any of the streets and not be likely to strike anything more formidable than ladies in hoops. Meanwhile Mary, Catherine’s mother, had located her schoolboy son in good spirits with a good claim earning fair gold. Mary bought a good business site and paid to have a building erected and sent word to her husband to sell out and bring the family to Gympie. Catherine was the eldest at home and mothered the rest of the children and helped care for her invalid father. They came by paddle steamer “ Lady Bowen” to Maryborough. This was not without misadventure as Catherine nearly missed the boat having to jump as the boat left the wharf and one of her little sisters had to be rowed out midstream whilst the boat stopped for her.